Welcome to the spiritual realm of Archangel Metatron. Julie is a triple-TESTED, 4th generation, International Psychic Medium and gifted Channel of Metatron. She has a soft, gentle approach but is direct and to the point. 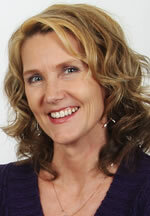 Julie specializes in psychic BUSINESS COACHING, ROMANCE & RELATIONSHIPS, and MEDIUM READINGS. With a chart she has devised herself, she can give approximate predictions for time-frame and help you clearly decide, without a doubt, what is in your highest good. And with her trusted angel cards she is able to tap into the wisdom of your ANGELIC COUNCIL to guide and direct you in your life. Julie is very honest, insightful and can see things you cannot. Julie has been TRANCE channeling since 2008 and is honored to work with Archangel Metatron. Metatron is the master of all the Archangels and Angels in heaven and walked the earth as Enoch. He is here to help us remember who we are and why we came here to this planet. Julie holds a Bachelor's Degree in Elementary Education and a Master's Degree in Education and worked as a school teacher early in her career. She opened Heaven Sent Healing in 2007 and works as an International Psychic Medium and Spiritual Counselor/Healer/Teacher. Julie has special certification in past life regression with Georgina Cannon, Transformations Meditation with Sherrie Wade, The One Command with Asara Lovejoy and is a hypnotherapist with clinical certification. She has also studied quantum jumping, spiritual healing, the healing code, and emotional freedom technique. "Angel Talk Tuesday" Tuesdays at 10am EST/9am CST on OmTimes Radio. Join the Psychic Angel Channelers as they channel divine wisdom to help you align with y our own Angelic Council of love and light. Julie is honored to be chosen as a channel for Archangel Metatron who has a powerful, commanding presence. Metatron is filled with grace and light as he guides us on this journey of remembering who we are. Alicia channels the Akashic Council of Light & Katherine channels the Galactic Federation. Please Note: Good, reputable psychic's across the board are 80% accurate. There are no guarantees or refunds and services are provided for entertainment purposes only. Julie Geigle is unavailable ... but you can arrange a call back!